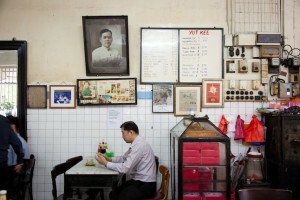 Opening this Saturday, Fotoprojek's exhibition of citizen photography showcases over 250 photos of the events of 28 April 2012. This Saturday, a photo “retrospective” of Bersih 3.0 opens at Pusat Rakyat LoyarBurok (PRLB) in Bangsar. 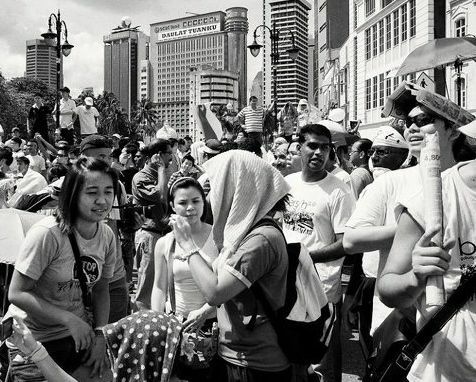 Organised by Fotoprojek, this exhibition of citizen photography carefully curates over 250 photos by Malaysian contributors from around the world. Featuring works by both amateur and professional photographers, the exhibition takes a grassroots approach to the events of 28 April 2012, showing how the rally unfolded from the perspective of different eyewitnesses on the ground. The exhibition launches at 3pm this Saturday, 26 May. “Curator’s Walks” through the exhibition will be held twice a day on 27 May, 2 June and 3 June, and there will also be a talk at 1pm on each of these days. 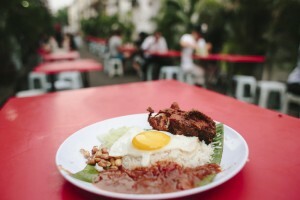 Pusat Rakyat Loyarburok / 50B / The Mansion, 26 May – 3 June 2012. 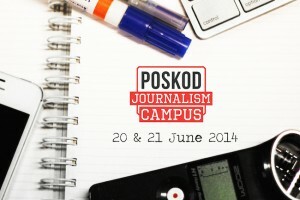 For more information, see Fotoprojek’s Facebook page. Photo courtesy of Fotoprojek.